The faculty of the Art and Art History Program - a joint BA offered by the University of Toronto and Sheridan Institute of Technology and Advanced Learning - is pleased to announce Paola Savasta as the 2011 recipient of the William Huffman Award for Excellence in Studio Practice. Savasta explores relationships and systems between people and their treatment of space. She is a recent graduate of the Art and Art History Program. 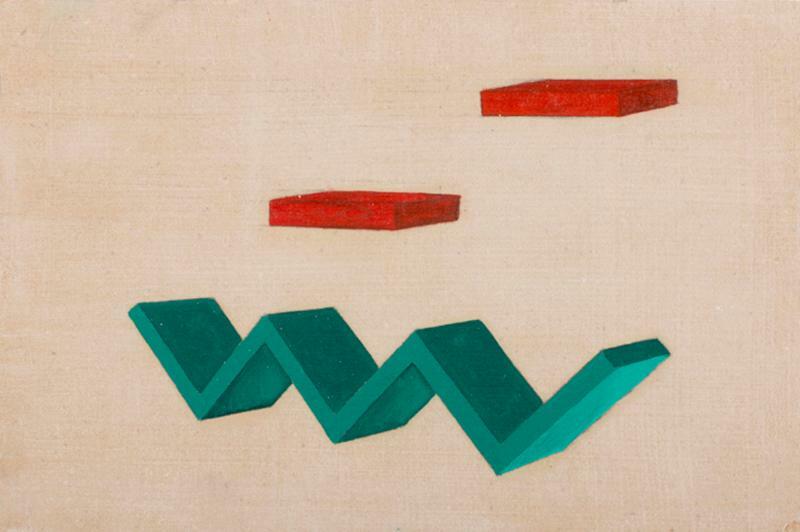 Savasta will present a new body of work in a solo exhibition entitled "Couches for the Liberated" at KWT Contemporary. Curator and arts administrator William Huffman created this award in 1999 to recognize an especially gifted student graduating from Art and Art History. Huffman has had an extensive involvement on both local and international cultural fronts and has worked with a number of arts organizations such as Blackwood Gallery, Arts Toronto, The Power Plant, A Space, Canadian Art Foundation and Art Gallery of Sudbury. He is currently Associate Director with Toronto Arts Council, a post he has held since 2004. Huffman is a 1991 Art and Art History Program alumnus. Since its inception the award has recognized Sebastian Koever (2010), Jessica Vallentin (2009), Jaclyn Quaresma (2008), Marko Bursac (2007), Alison S. M. Kobayashi (2006), Tejpal Ajji (2005), Carolyn Tripp (2004), Jared Carlson (2003), Tannis Nielsen (2002), Erin Finley (2001), Amie Tolton (2000) and Heather Robinson (1999). 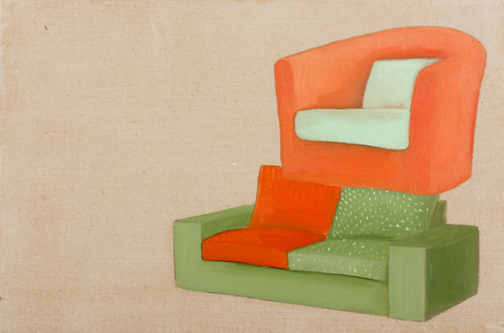 With "Couches For the Liberated", Savasta has created an installation of 69 minitare paintings of Ikea products, primarily depictions of couches and shelving units, for her exhibition at KWT contemporary. Savasta's installation is a smart and serious exploration of consumer culture and acquisitiveness, but is not without an underlying wickedly quirky sense of humour (talk about turning the dreaded "sofa painting" trope on its head!). We'll have installation shots posted later in the week. "The culmination of these 69 pieces is a result of four series of panel paintings that I have been working on – each series toying with my growing concern with the location of power in consumer culture. Each series function as proposals or “solutions” for maximizing the potential of a living space. (I would also like to note that my humour is in equal parts with my concerned and suggested analysis). I work with selected images from Ikea catalogues, where I model and manipulate the existing domestic structures. I transfer my constructed images on medium-density fibreboard, which references the material that most Ikea furniture is made of. I use couches in my first two series, as I find them to be most iconic of the living room furniture. My latter series use shelves as a way to employ excess, indecision and possibility. My first series is a set of 3 tiered black couches, each in a different configuration, with negative space left to suggest the ability to plug in or accommodate existing living room fixtures (such as plants, windows, or television sets). This series explores a Do-It-Yourself aspect of customizing and maximizing the seating space of a living room to a point of absurdity. The shelving in my second and third series depict different configurations of the same subject – each pushing further ideas of combinations and the freedom of decision. My fourth series (the second couches series) allows for colour and pattern and leans towards the consumers and their lifestyles. It again pulls on the availability of too many possibilities and suggests consumer excess and perhaps even boredom or indifference."